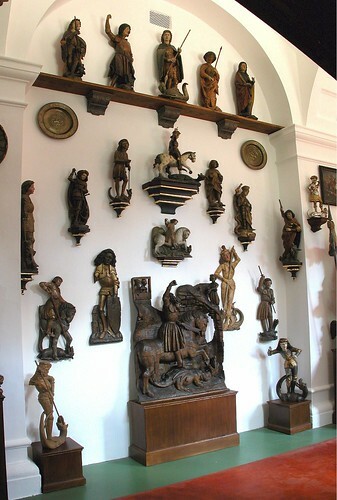 The restoration of the paintings, sculptures and other objects of the collection devoted to St. George and the reconstruction of the installation to the form it had at the beginning of the 20th century. This is a mono-thematic collection, unique in central Europe. The Archduke housed the collection in the 13th century Chateau Konopiště near Prague and opened it as a museum at the beginning of the 20th century. After his assassination the artworks were transferred to different locations for safekeeping, damaging the works due to repeated transports and unsuitable locations. The interior of the museum was restored and a climate-control unit was installed following the restoration of 71 pieces of the 808 piece collection.